A Walt Disney World vacation comes at a hefty price, which makes a list like this even more valuable. Take advantage of these free items while you are here. Some of these make great souvenirs! Many Cast Members have Mickey stickers to give out, usually to children, but if you are an adult and want one you can request it. Goofy’s Candy Company samples Goofy’s Glaciers, which are flavorful ice-type drinks. You can choose from several different flavors to sample. This shop has a huge variety of Disney packaged candy but the highlight is custom ordering your apple coverings to make a really special candy apple. Fresh candy and cookies are available for purchase. Free samples at Main Street Confectionary at Magic Kingdom come in a variety of treats like Fudge or Caramel Apple pieces. The air in this shop is so sweet and it takes a strong will to walk through here and not sample or purchase at least one of the goodies they create. During the day you can watch confectionary cast members creating candy-covered apples, cotton candy, cake pops, crispy rice treats, and cookies, just to name a few. You can pick up a Disney button for celebrating a variety of milestones like your birthday, first visit, or get one of the buttons that simply says “Celebrating” and use the sharpie to fill in what your special celebration is. You can get a button at Guest Services, or most merchandise locations. Disney PhotoPass Photographers will take your photo all over the resort and give you a card to see them online. You can choose to purchase them later, or not, but you still get to see them at no charge. The best freebie is you can have one of these trained photographers also take your photo with your camera, phone, or iPad. There are several games available to play that cost nothing additional after park admission. Epcot offers the Agent P game where you join in with Perry, Phineas and Ferb to shut down Doofenshmirtz’s evil plan. Magic Kingdom offers two games: Sorcerer’s of the Magic Kingdom and Pirate’s Adventure. Upon entering Magic Kingdom each day you can pick up a new set of playing cards at the Firehouse and use them to fight virtual villains around the park. The cards are free, one set per day. In Adventureland you can join up with the likes of Captain Jack Sparrow using a series of maps to gain control of the seven seas. Animal Kingdom also has an activity called Wilderness Explorer’s where you enlist, and then as you visit through the park you will run into stations where you learn something new and earn a badge sticker to put in your WE Handbook that you take home with you. Ghirardelli chocolate is handed out at their Disney Springs location where you can buy special gift packs, or treat yourself to a non-complimentary, but incredibly delicious ice cream sundae made with famous Ghirardelli Hot Fudge. Mmmm. Club Cool in Future World at Epcot gives us free cups of sodas from around the world. You can taste all of them, but watch out for Beverly! The location is sponsored by Coke and you can pick up frozen cokes and Coca-Cola memorabilia. It is loud and has a sticky floor but I never walk by, I always visit it for a cold drink. This is an activity for children traveling around World Showcase at Epcot. They can begin in any country and pick up a Ziploc Bag “suitcase”. When they visit the 11 Kidcot spots, one at each country, they will be handed a sticker to put on their suitcase by a Cast Member that applies to the country in one way or another. The kids love this activity as it feels like a scavenger hunt going from one country to the next. You can get a glass of cold water from any of the counter-service restaurants in the park so there is no excuse for you to be dehydrated. Fighting dehydration is what water does, not to mention really quench your thirst. This one can really add up in the money it saves you, plus not having to carry a water bottle all the time, every time you walk into the parks, is a luxury to me. 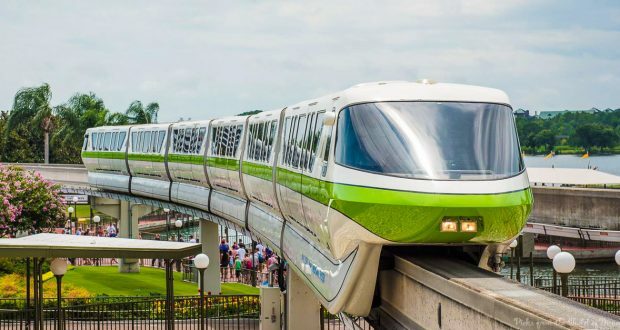 Disney transportation is complimentary and includes quite an array of types of transportation: Bus, Ferry Boat, Small Boat Transfers, and Monorail. You don’t need a park pass to ride the world famous Monorail and it gives you a great preview of what to expect in the parks. Take advantage of the Disney bus system from your Disney resort to avoid driving and parking each day.